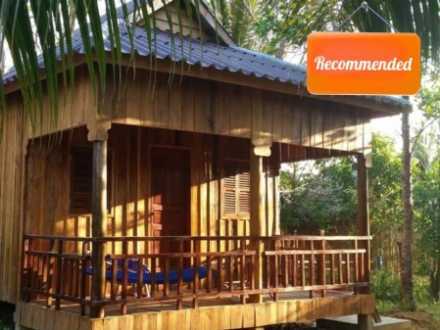 The Sok San New Beach Bungalows (not to be confused with the Sok San Beach Bungalows and the Sok San Long Beach Bungalows, which are both nearby), are located in a remote area of Sok San Beach on Koh Rong. This location is perfect for people who want to experience the local culture while enjoying the spectacular views in a quiet relaxed environment. 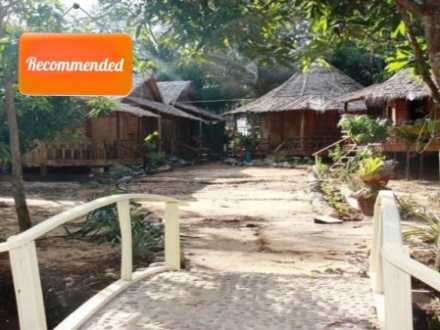 Our review team has visited this resort and rate it 2.5 / 5 – It is an OK place to stay. In peak season, demand for all resorts is high, so please book your resort early if you are interested. 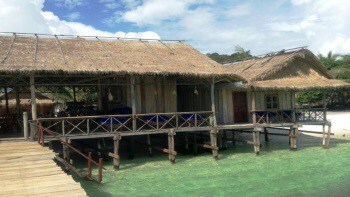 Sok San is a small fishing village on the west side of Koh Rong – A boat trip away from Koh Touch. 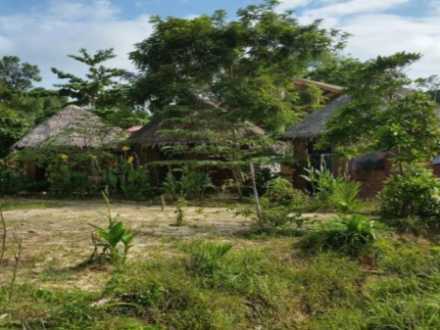 The beach area around here is beautiful, peaceful, and relaxing, and because you are close to the local Khmer, you have the chance to learn about the Cambodian culture during your stay. 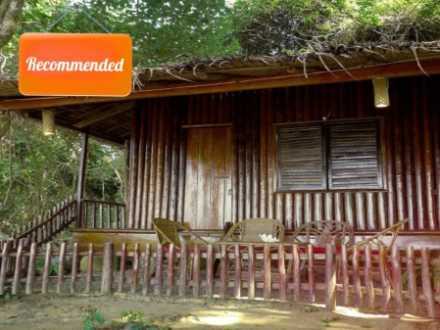 Sok San New Beach Bungalows is a budget-friendly resort. The rooms are very basic but there is a private bathroom and a shower. Mosquito nets are provided, though Wi-Fi is sometimes unreliable. All of the hotels on this beach have comfortable chairs and lovely patios for lounging. The restaurant is of a good standard and the menu offers a variety of foods. 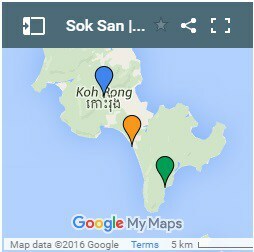 For information on how to get from Sihanoukville to Koh Touch on Koh Rong, visit Sihanoukville to Koh Rong. 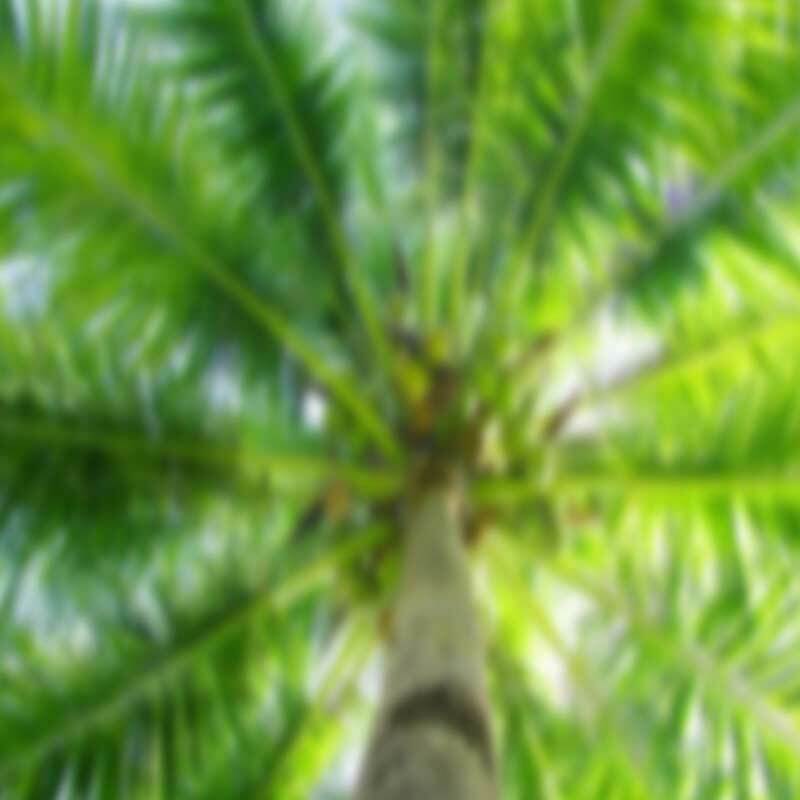 To help you plan your trip, see also: Koh Rong Beach Guide, Koh Rong Hotel Guide, and Koh Rong Weather.